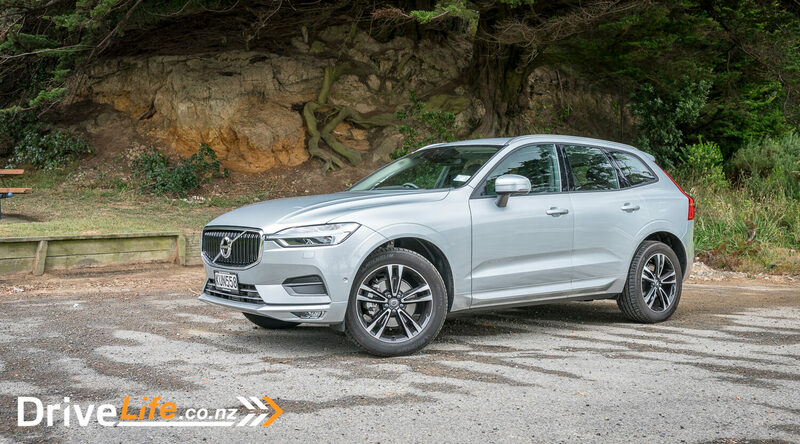 After the 5 Chevron review on the Volvo XC90 D5 Inscription and its continuous market segment growth, would the XC60 be able to stand tall and hold its own in the mid-size luxury SUV market? 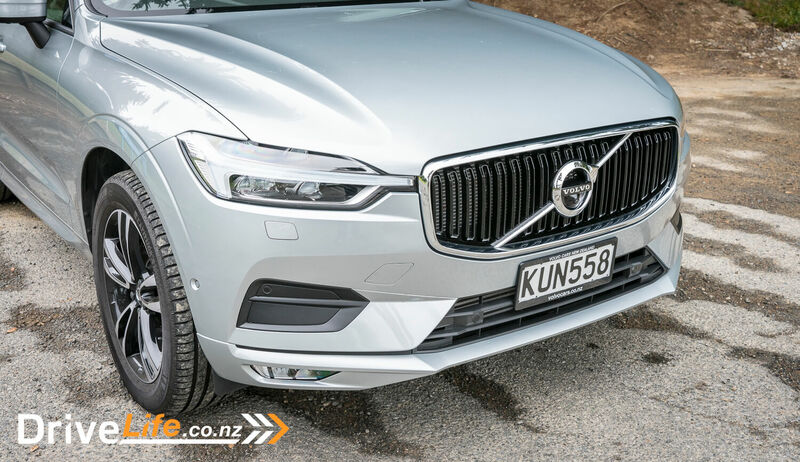 Launched in New Zealand in October of 2017, we got to taste the entire XC60 range in Hastings. Since then we have been looking forward to doing an in-depth review. As luck would have it, the schedule had the XC60 T5 Momentum and the Volvo XC60 D5 R-Design for me to test back-to-back. This would be a great opportunity to really compare the petrol and diesel engines in everyday life. 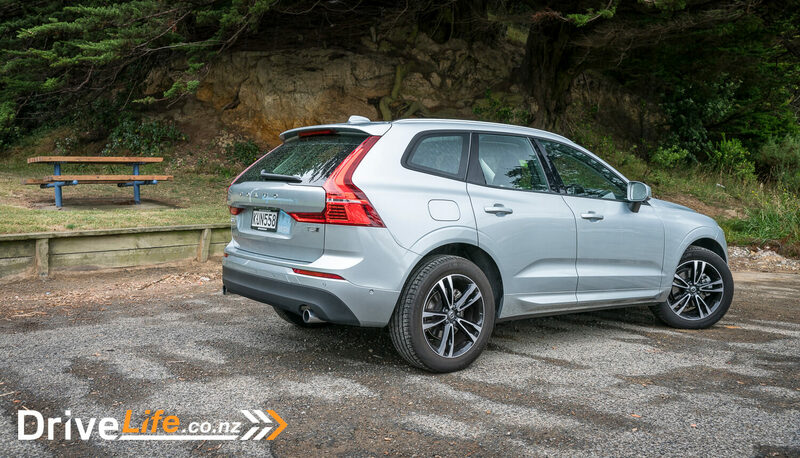 The Volvo XC60 is available in 3 model variants; Momentum ($84,900), Inscription ($89,900) and R-Design ($94,900). It comes packed with a lot of features as standard. On the exterior you get a 360-degree camera, LED Headlights, Park Assist Pilot and wiper blades with integrated water nozzles. 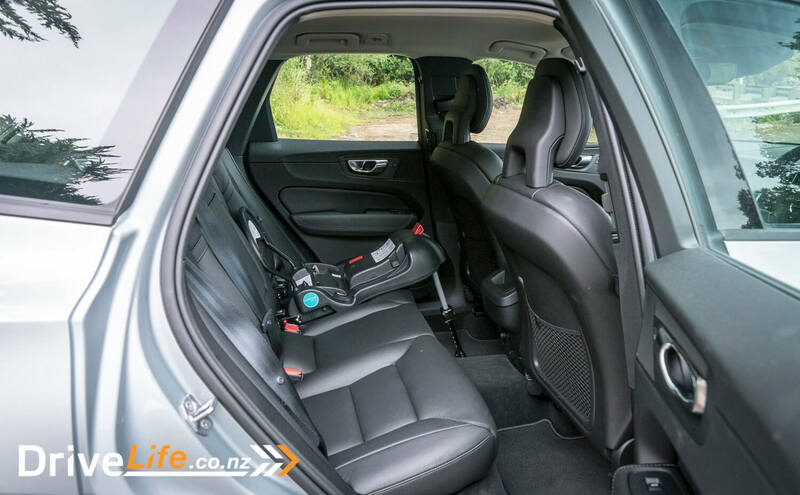 In the interior you get 4-way power adjustable lumbar support (front seats), Comfort seats with leather upholstery, drive mode settings, interior mid-level illumination and Iron Ore aluminium decor inlay. 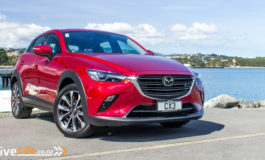 On the technology side you get a 12.3” driver display, 9” centre display, high-performance audio system, remote control buttons on steering wheel and Sensus Connect with Apple Carplay and Android Auto Smartphone Connectivity. All variants of the XC60 come as AWD, regardless of engine selection. Volvo offer a D4, D5, T5, T6 and T8 Twin Engine. The D models are all Diesel, and the T models are Petrol including the T8 Plug-In Hybrid. The D4 and D5 use the same 2.0L i4 common-rail twin turbo diesel engine. 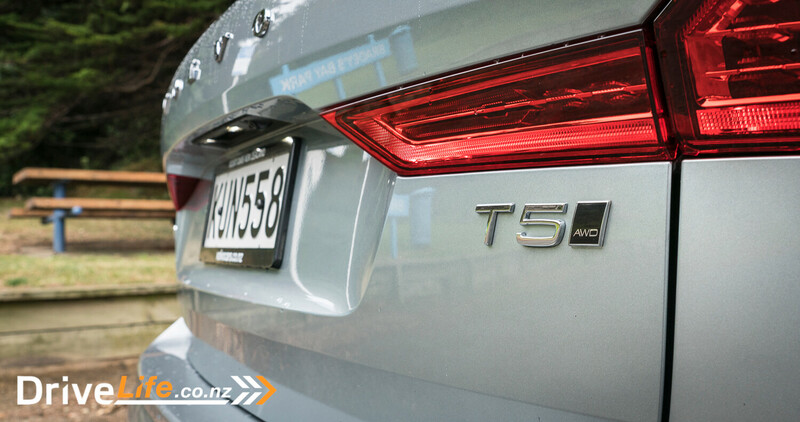 The D4 produces 140kW and 400Nm of torque and has a fuel consumption rating of 5.2 l/100km. The D5 produces 177kW and 500Nm of torque and has a fuel consumption rating of 5.5 l/100km. The XC60 is available in 15 different colour options; Crystal White, Ice White, Bright Silver, Electric Silver (our test car) Mussel Blue, Denim Blue, Osmium Grey, Pine Grey, Onyx Black, Black Stone, Maple Brown, Luminous Sand, Fusion Red, Passion Red and Bursting Blue which is a DriveLife favourite. This is a big SUV, which made me think about the term mid-sized. In saying that the XC90 is mammoth, so technically this is smaller. 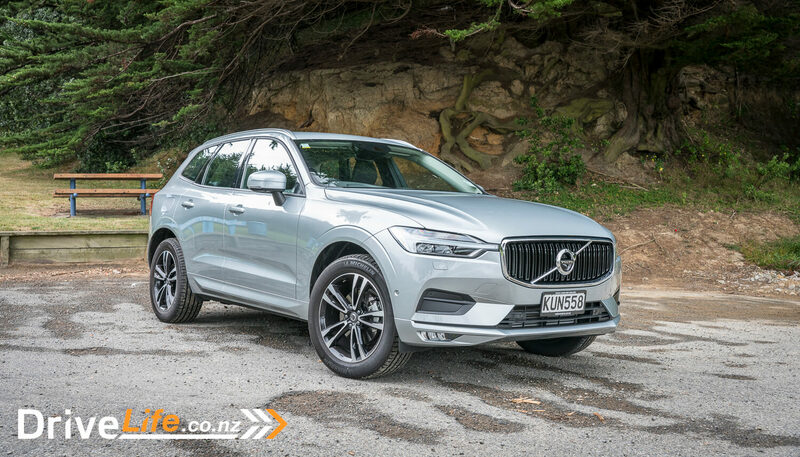 In Fred’s least favourite colour, silver – Electric Silver to be exact – Volvo’s base model XC60 was parked outside the dealership ready for collection. I stood back and looked at this and thought for a base model, this is a damn good looking car. The only real indication that it was the base model were the wheels. Instead of the typical low-profile tyres it had fatter tyres, while still being on 19-inch alloy wheels. Most of the car was body-coloured, apart from the bottom of the rear bumper. The front grill has a very aggressive, strong stance and almost looks a bit futuristic with the cool Thor’s Hammer LED headlights. From every angle the XC60 has strong striking features, and I couldn’t wait to spend some time with it. 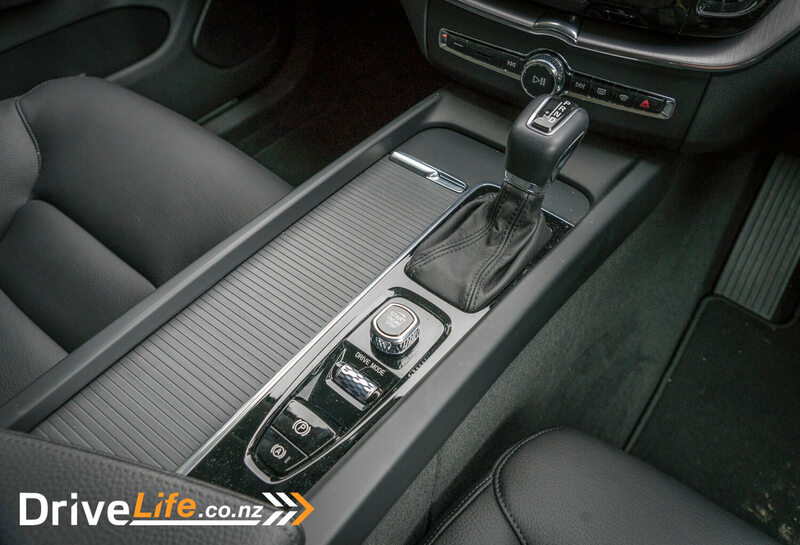 The interior of the new XC60 is a very modern and relaxing place to be. Every single person who got into the XC60 said WOW. They liked everything, how it looked, how it felt and how it was laid out. Bathed in soft-touch materials, chrome and a bit of shiny plastic, it all feels very opulent, the value for money is seen and felt everywhere, by everyone. I can’t quite put my finger on what it is exactly, but the seats in every Volvo I have tested are amazing. Some cars I can spent up to 10 minutes adjusting the seat, trying to find that perfect/comfortable driving position. 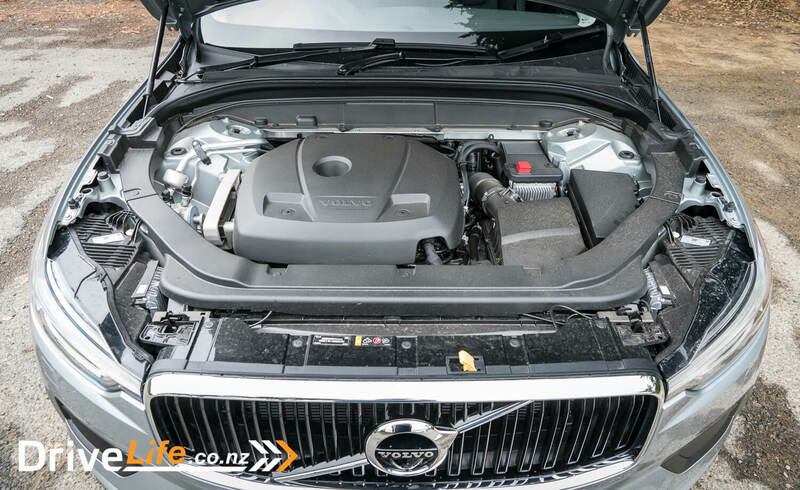 There are even vehicles that I could never find it, but in the Volvo it’s mere seconds – and it’s like I am sitting in my favourite lounge chair at home. I was not the only one to comment on this, or on the quality of the leather. Let’s not forget this is a base model we are talking about. Shouldn’t they be a bit rough, made up from cheaper and scratchy materials? The steering wheel was a bit of a mixed bag for me. I liked it, but I wished the buttons made more sense. As many vehicles have, the XC60 has two multi-function buttons on either side of the wheel. No problem there, the problem starts when you’re trying to figure out what they control in each multi function. On the right side it has direction arrows, however the up and down control the volume too. Ok it make some sense, however the left side dial has a plus and minus button on it. That’s not for volume – it’s for the cruise control. Maybe it’s me, but this could have been the other way around. I am sure I would get used to it, but it’s the only part of the car I found was not fluid in design. The dash itself is minimalist, broken up by a few air vents and large 9-inch central display screen. 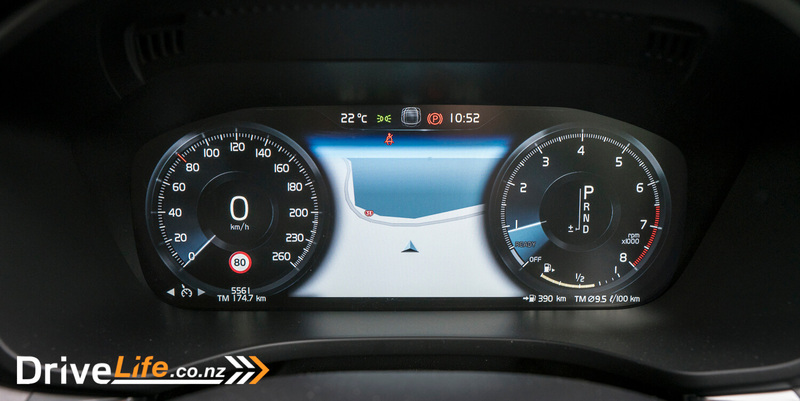 The only buttons visible are under the screen; play/pause button in the middle with a skip forward and back either side, Then a front and rear windscreen defog button and hazards. There are just six buttons across the entire dash. Everything else you might require can be found on the 9-inch touch screen. Its default state is one of three screens, which shows 4 info panels. These panels include current position, media, phone and a customizable panel. I chose to have the fuel consumption rating display in this panel. Each panel when pressed would take you into a menu with more options or information. If you then swipe left or right, just like your mobile phone, you can access the additional option menus. When swiping right you are presented with the car functions page, that has all of the buttons/features that would normally be cluttered across the dash. For example, Auto Stop/Start on and off, Fog Lamps with Cornering Lamp, Lane Keeping Aid, Park Assist and Speed Sign Assist. Nice and tidy and easy to get access to and read. When you swipe left you can access the Application screen. Here you can access the the AM/FM/DAB Radio, Bluetooth, USB, Spotify, Weather, Messages, Car Status, Driver Performance, Apple CarPlay and Android Auto. Again super easy to use, and it’s really nice knowing that if you need anything related to the vehicle, that it’s available on one of these three screens. 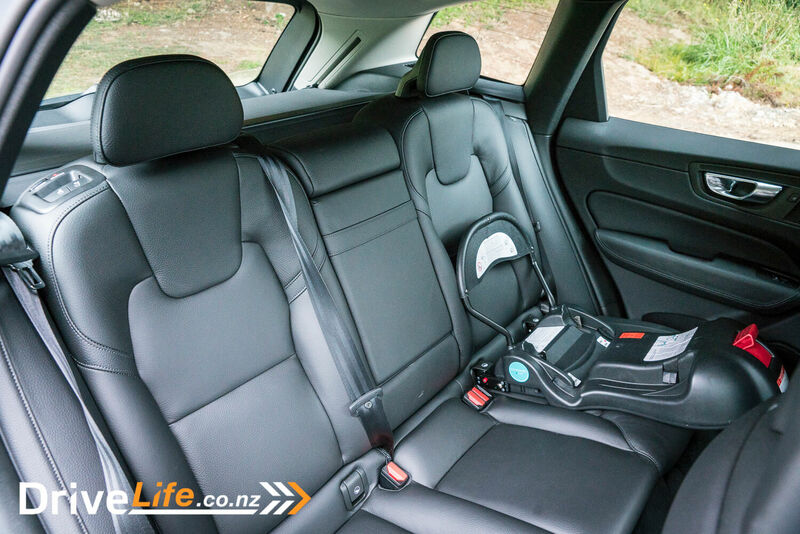 If you are any existing Volvo customer, you may notice one very neat feature that has not made it into the XC60: the famous integrated child booster seat that pops out of the rear seats for use with younger children. We have seen this in many Volvos over the years, but the XC60 does not have them. When asked why it was removed, they indicated that the current setup did not pass their safety tests. They did not indicate if it would be coming back after safety concerns have been addressed. Everyone knows or should know that Volvo sets the standard for safety in the automotive industry. They conduct more tests than anyone when it comes to crash testing. They are so confident with how much research they put into their vehicles that Volvo President and CEO Hankan Samuelsson made his Vision 2020 pledge, that no-one will die or get seriously injured in a Volvo from the year 2020. This is a pretty serious claim, but based on some of the systems they have in place now and directions they are going I would not be surprised if they achieve this. When you’re inside any recent Volvo, you can’t help but feel safe. The body envelopes you like a tank, that it leaves you feeling like you could survive anything. It’s a lot of little things too, the doors are thicker than normal vehicle doors giving you added protection. 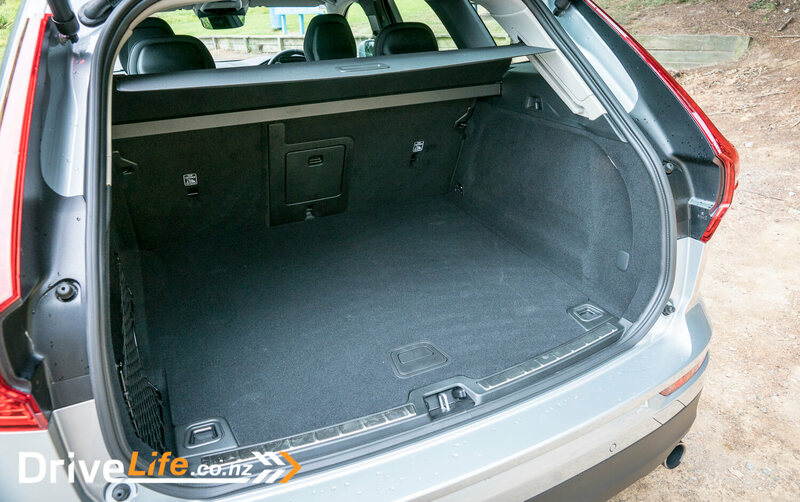 The rear seats are reinforced with steel plate to prevent anything in the boot being pushed through to the rear seats in a serious rear impact. The roof has been strengthened so that it can survive rolling on its roof several times without collapsing. The seats are all linked together via cables that run down the middle of the vehicle. And in the event of a side impact, the cables pull the seats on the side of the impact towards the center of the vehicle crushing the centre console. I could go on for hours, talking about all the safety innovation and features Volvo offer, many of which are not seen or heard of with other brands. 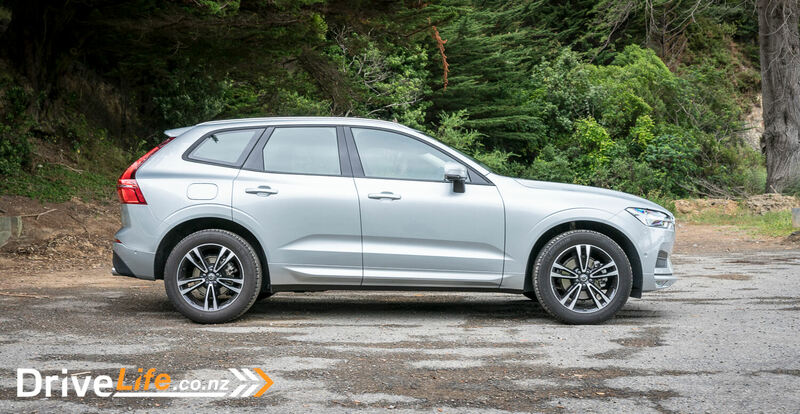 Touching briefly on the XC60 D5 R-Design and the difference between the two, there is an definite upgrade to seats and finishes, however you are never left feeling that the Momentum is the base model. Most people who got into both models during my test didn’t even notice a change in vehicle due to the similar colours on the interior and exterior. 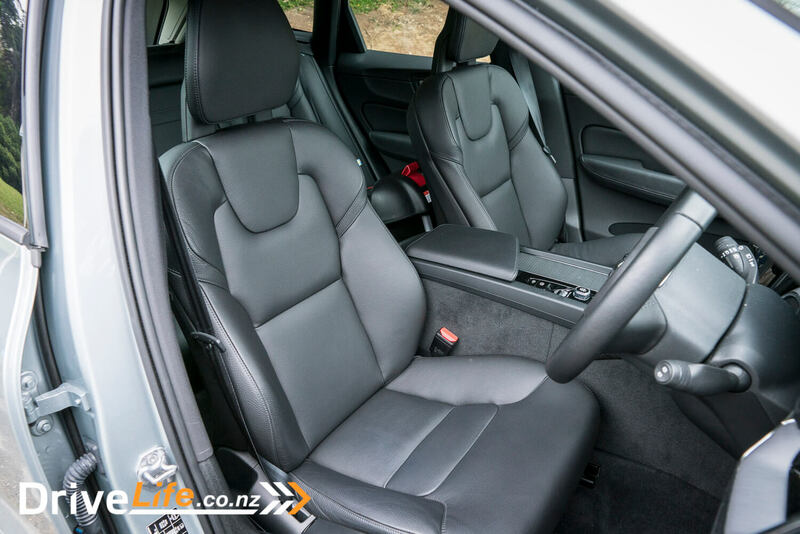 Interiors are as important as how the exterior looks and this is where some vehicles drop the ball, Trying to drown you in features and specs, while sometimes forgetting that a person will spend many years inside the vehicles. It’s nice to see that Volvo do not appear to be one of these brands. 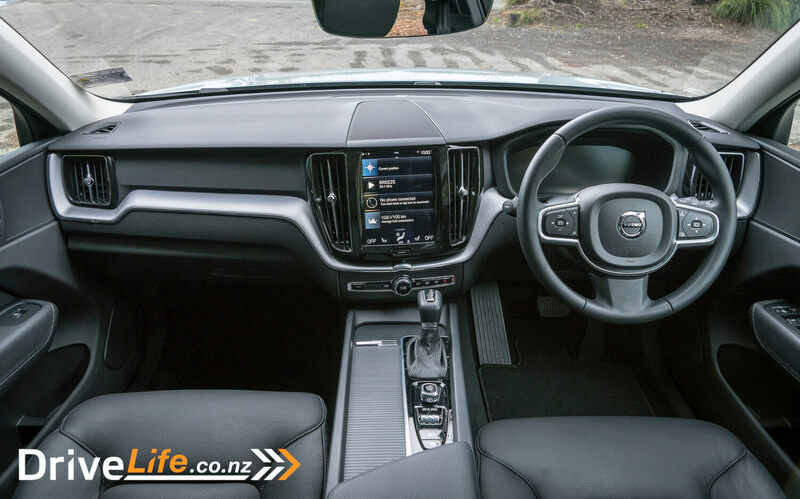 Much like the interior, the driving experience in the XC60 is a calm and relaxing event. The steering was light and fluid, which made maneuvering this large SUV a breeze. This paired with the parking cameras made it easier to get in and out of parking spaces. Visibility from the driver’s seat was great, you have a nice clean view out and around the car, with the only real blind spot being the rear D pillars. And these were covered by BLIS, Volvo’s blind spot indicator system. This meant that you had every angle covered while out and about on the daily commute. On the centre console there is a odd-looking diamond-pattern roller control. This control allows you to select the different drive modes available in the XC60. In the Momentum, you have the options of 4 different modes: Eco, Comfort, Off Road and Dynamic. Eco mode was a bit different, as the dials change to a power display, that has two gauges on it, one for the power you are requesting, and another for what you should be requesting based on what the vehicle is doing. The should-be-requested is much lower then I would have expected. I tried a few times to drive around only in Eco mode, But was somewhat conscientious of the amount of cars building up behind me as I slowly pulled away from lights. Maybe I need to care more about the planet and less about everyone else. The idea works though, my fuel usage was coming down. It was not easy, and even more so for a lead-foot power monger like myself. I think this mode would be really good when paired with the Hybrid system in the top spec T8 – Allowing you instant torque from battery around town, avoiding the traffic built up behind me. After 2020, all models across the Volvo range will have hybrid options, not just the top spec. Comfort mode was the everyday bread and butter default mode, and it was well suited to the Momentum. 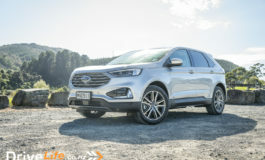 For the size of this SUV, the suspension, driving feel and general performance felt good. I was more than happy driving around for a week in Comfort mode. Off Road was sadly never tested. It’s of course not offroad in the sense of a Jeep Wrangler, but it would have been great to test it out and see what it’s able to do, off the beaten track. 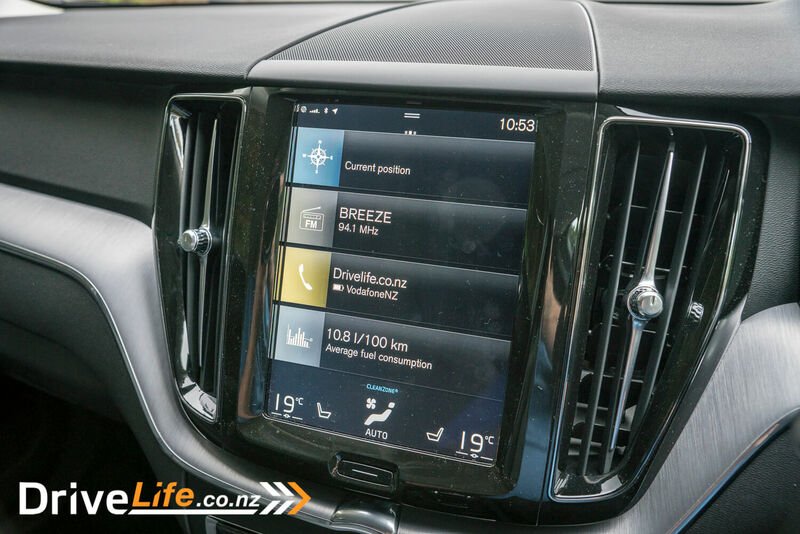 Apart from skiing, I really don’t see many or any Volvo owners doing to much more than driving across a smooth field or beach in their Volvo SUV. Dynamic mode is really to strong a word for what this engine can do. In this mode the engine jumps down a gear and lets you rev into a higher range. I could not feel any change to the chassis or suspension, not that it was expected on the Momentum. The gears are held longer so that you can use the higher end of the rev range before shifting. I only used this once or twice, and found it just made the engine louder, rather than the vehicle sportier. When driving the XC60, you know that there are other systems waiting in the background, to jump in if the worst happens. The lane assist – standard on the base model – gives a gentle nudge when you’re too close or it looks like you may drift over the line. It’s not intrusive, but you know it’s there, and I found it nice to know there is a second pair of eyes watching what’s going on. The multiple mitigation systems are also feel like they are ready and waiting to jump in when required. On several occasions, with blind corners or with some parked cars, The crash mitigation system gave me an alert, to warn me that if we keep on this path there is the possibility of a crash. It was generally on a corners I had this alert, which went away as the system kept computing. It never jumped in and took over as we never got to the point where the system felt it needed too. But this was another system that was comforting to have with you. Now we get down to the serious decision making stuff, which engine option is the way to go? This Momentum was the T5, so it has the 2.0l i4 turbocharged engine and produces 187kW and 350Nm of torque. 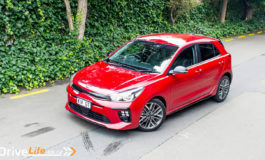 This was being compared back to back with the D5 R-Design that has the 2.0L i4 common-rail twin turbo diesel engine that produces 177kW and 500Nm of torque. After a week of living with each model, I personally felt that the D5 was a better suited engine for a vehicle the size of XC60. It felt like it had the right level of power and was a quieter experience overall. The petrol T5 always left me feeling like it needed a bit more power in certain areas of the torque band. This is probably why the T6 comes with a supercharger. When asking for power in the T5, the engine pushed higher in the rev range making it louder during everyday driving operations. It was not annoying, nor did it feel gutless. It was just that the D5 was a better performer due to the higher torque the engine produced. What Volvo struggle with is that their brand name is not usually on the list people defer to when thinking of Luxury european brands. The Germans reign supreme there, but when you lay them out, it’s clear to see that your money gets you a lot of car for a base model compared to the rest of the market. The Volvo XC60 Momentum is almost a home run for Volvo. I wanted to give it top marks, but that engine felt like it was slightly underpowered compared to the D5. Many may not notice that or even care, as the package as a whole is a very good one. It looks great, drives well, feels luxurious and has loads of features not standard on other brands base models. And with a $10k price gap between the XC60 and other model, it’s a cheaper and much better option to many other luxury SUVs on the market. Where the Volvo makes waves is with people who hate the brand for no real reason other than old stereotypes. They all said it looked great and was so nice to be in – they were also surprised it was a base model too. 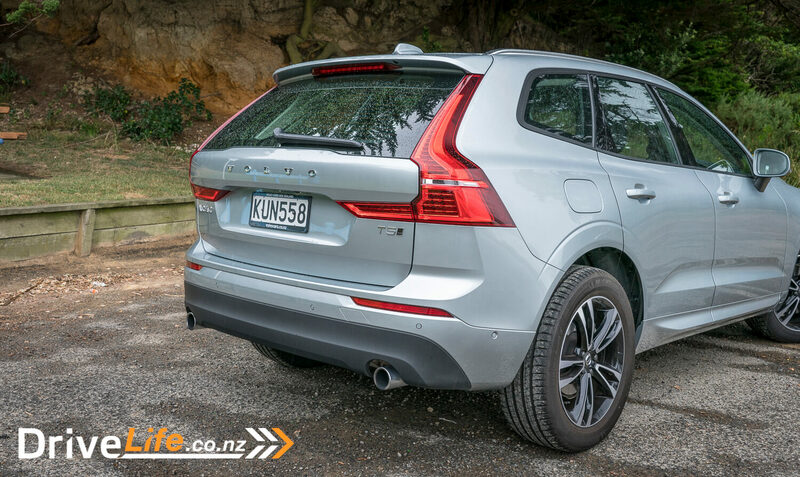 I said it in the XC90 Review, and I’ll say it here too. The only mountain Volvo need to climb is breaking people’s old views that Volvo’s are dull and boring, only owned by turtleneck wearing architects. Go and test one, you will be very surprised at what they have to offer. Warranty 3 years warranty and AA Roadside Assist.